The Most Efficient Routes: A GPS route planner system plans out the most efficient routes possible. Reduced Labor & Fuel Costs: When drivers have efficient routes planned out for them, they will not waste time and fuel driving around. If the driver goes out of the authorized area, an automatic notification will be sent to the fleet manager. In addition, managers will be notified when drivers leave their vehicle in idle for temperature control, which wastes almost as much fuel as driving the vehicle. Improved Customer Satisfaction: When deliveries arrive to your customers on-time, they will take notice. Vehicle GPS tracking systems let you provide accurate ETAs. 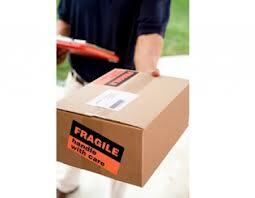 You will also be able to easily track their packages for them.